What’s the first thing you would buy if you were ever fortunate enough to win the lottery? That’s a question that lots of people from all over the world have pondered in the past. Part of the fun of taking part in a lottery drawing is trying to imagine all the different things you would buy if you won it. From mansions to supercars to private jets, people dream about purchasing all sorts of outlandish things. In order to give yourself a chance to buy any of these things, you obviously need to begin by picking the winning lottery numbers. And this is, as you might guess, a whole lot easier said than done. But there are some things that you can do to increase your chances of walking away a winner after the next lottery drawing. Take a look at some helpful tips for picking winning lottery numbers below. If you’ve played the Australian lottery before, you’re probably well aware of the fact that there are tons of different lottery games to choose from. 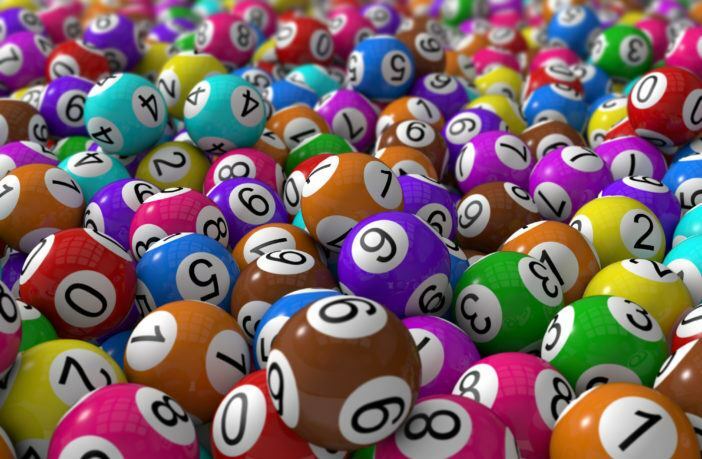 From the national Oz Lotto that has been around for 25 years now to the smaller state lotteries, there is no shortage of options when it comes to lottery games in Australia. It can make it difficult to pick out the one that you want to play. Before you decide on which one you want to play, take a look at the rules for some of the most prominent options. There are some lottery games that offer better odds than others. Those games might not have payouts as high as the big nationally known lotteries, but you have a better chance of choosing the winning lottery numbers when you play them. Whatever you do, don’t just start throwing money around and playing lottery games without having the slightest clue how they work. The only way to gain a slight advantage over other lottery players is by doing your research on lottery games and learning everything you can about them. Once you’ve sifted through all the lottery games that are available to you, your next step will be to take a look at some of the recent results for that specific lottery to see if you can spot any trends. By analyzing results from the last, say, two months worth of lottery numbers, you might be able to pick up on a pattern. There might be two or three numbers that have come out time and time again. This doesn’t necessarily mean that those numbers are going to keep coming out. There are some people who will argue that there is no chance they’ll show up again if they’ve already shown up more than once. But by taking a good, long look at recent winning lottery numbers, you may be able to find out valuable information that can help you. If nothing else, you should start to get a lot more familiar with specific lottery games when you take the time to research the results of them. Some people say they do it because they aren’t sure which numbers they want to play. Others don’t want to have to go through the whole process of picking numbers on their own. But if you’re going to take part in a lottery, you should take a few extra seconds to pick the numbers you want. It could very well lead to you choosing the right lottery numbers. The problem with allowing a computer to make your picks is that the computer will often just spit out any old numbers without taking any strategy into account. It’ll often pick numbers that are right next to each other (more on that later!) and arbitrarily choose numbers and stick you with them. By picking your own numbers, you can feel some sort of connection to them. It’ll make it more fun for you to play the lottery when you feel like you have a real stake in it. So, you now know how important it is to choose your own numbers when playing the lottery. But how are you supposed to actually narrow down all of the available numbers to just the ones you want? That’s the tricky part! But it’s also the part that’s the most fun since it allows you to come up with whatever wacky reasoning you want to use for choosing certain numbers. You can pick numbers based on your birthday and the birthdays of your closest family members. You can also pick numbers based on the jersey numbers of your favourite athletes. You can even pick numbers that just “feel lucky” to you if you want to go that route. You should keep some of the research that you did earlier in mind. You might want to avoid selecting numbers that don’t ever seem to come out during lottery drawings. But generally speaking, you can let your imagination go a little bit wild here. You can dictate which numbers you choose and, as long as you don’t go with something like “1, 2, 3, 4, 5,” you’ll give yourself a shot. We’ve mentioned that it’s a bad idea to pick numbers that are located close to one another (like “1, 2, 3, 4, 5”) a couple times now, so let’s quickly take a look at why that is. If you check out some recent lottery results, one of the many things that you’re going to notice is that it’s rare to see two consecutive numbers come out. It’s even rarer to see three consecutive numbers, and anything more than that is just about statistically impossible. With that in mind, you should not, under any circumstances, play a bunch of numbers that sit right next to one another. You should also avoid playing too many numbers that are located near one another at one time. Try to spread your numbers out and leave some gaps between them. Every now and then, you might want to use numbers near each other. But that’s not usually a very sound strategy when looking for winning lottery numbers. We hate to break this to you, but you’re probably not going to win the lottery the first time you play your lucky numbers. Every now and then, someone will win when they play the lottery for the first time. But it doesn’t happen often, so we wouldn’t bank on it happening for you. But with that being said, you can increase your chances of having the winning lottery numbers by picking a bunch of good numbers and then playing them over and over again. Rather than switching your numbers up all the time, you should get into the habit of playing the same ones consistently. By playing the same numbers, you’ll make it very easy for you to check to see if you won after every lottery drawing. You’ll also give yourself better statistical odds to see the lottery numbers you picked come flashing across your screen. You’re not going to win the lottery if you don’t have a ticket in your hands. So once you’ve settled on what you think are your winning lottery numbers, you should try to play the lottery as often as you can. You should, of course, make sure that you can afford to play the lottery before buying tickets. The last thing you want to do is spend money you need for other things on the lottery. But if you can swing it, playing the same numbers in the lottery before every drawing will give you a better chance to win. You might even want to consider starting a lottery pool with friends, family members, and coworkers and put your money together to buy tickets. This will make the lottery more affordable for you. It’ll also allow you to have fun with other people as you all dream about what you’re going to buy when you pick the right lottery numbers. Unfortunately, there’s no surefire method for selecting winning lottery numbers. If there was, everyone would use it and split the jackpots! But by following the tips you’ve read here, you can give yourself a slightly better chance to land on the right lottery numbers. You can also get a little bit more invested in the lottery, which can serve as a great outlet for those looking to blow off some steam. Would you like to discover what your odds are of winning the different lotteries so that you can find out which one might be best for you? Read our blog for all the information you need on lottery odds.